Dry Store Room No. 1 was a kind of miscellaneous repository, a place of institutional amnesia. It was rumoured that it was also the site of trysts, although love in the shadow of the sunfish must have been needy rather than romantic. Certainly, it was a place unlikely to be disturbed until it was dismantled. I could not suppress the thought that the store room was like the inside of my head, presenting a physical analogy for the jumbled lumber-room of memory. Not everything there was entirely respectable; but, even if tucked out of sight like suppressed memories, these collections could never be thrown away. This book opens a few cupboards, sifts through a few drawers. A life accumulates a collection: of people, work and perplexities. We are all our own curators. Before you get any ideas, this book is not just about the one storeroom. 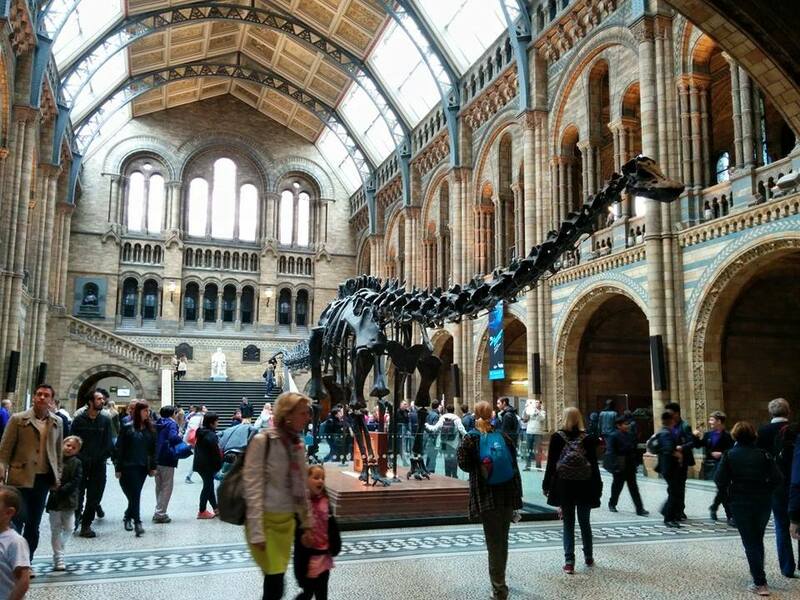 And while the book is focused on London’s Natural History Museum – its history, people, and exhibits – Dr. Fortey tells of much more than just the museum, he just happens to use the museum as an anchor for his discourse into the history (naturally!) of the world and the people and finds that have shaped our understanding of it. And what an anchor it is! The Natural History Museum started out as a part of the British Museum (another favourite haunt of mine), but the collection of natural artefacts soon outgrew the capacity of the British Museum and efforts led by Richard Owen succeeded in the split of the collections and the establishment of the Natural History Museum as a separate enterprise and an important new centre of research – which it is to this day. Dr. Fortey goes into a lot of detail about the history of the museum and its collections, and in turn this reveals a wider story of the development of the natural sciences in society. Fortey’s forte, however, is when he gets to speak about the different collections and the people who have shaped not only the departments of the museum but also the scientific research – from lichen, to minerals, to worms. I had no idea, I could be so interested in worms! 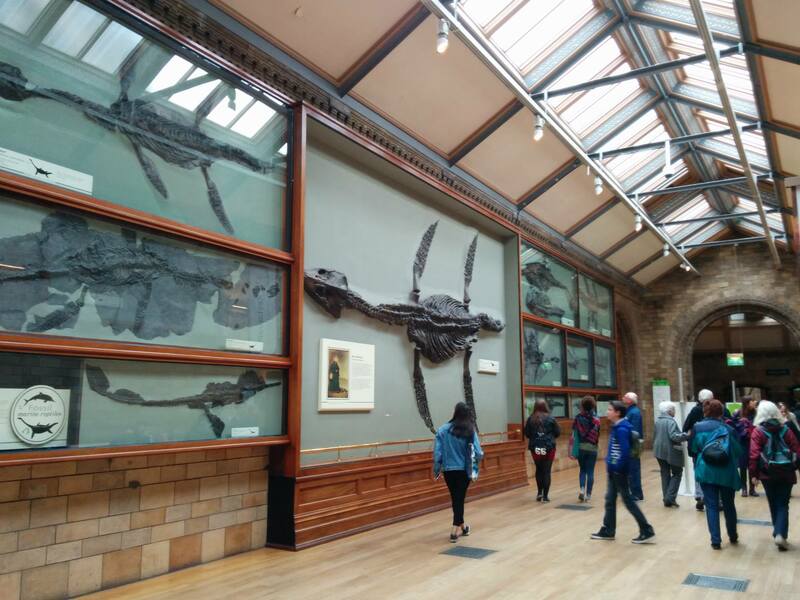 My first concrete interest in the NHM’s collections was when I read about Mary Anning’s groundbreaking finds of ichthyosaurus and plesiosaurus specimen which are held by the NHM. Science, treasure, rarity, beauty, scholarship: this hidden gallery made me understand again the heterogeneous attraction of Museum life. Nowhere else could a link with the Mughal emperors be relevant to what happens deep beneath the surface of the Earth; nowhere else would the fanatical collecting of a toffish Russell become a long-term resource for mineral genesis; nowhere else could rummaging in an attic reveal an archive of the Prince Regent. From the Russell Room I looked out on to the Victoria and Albert Museum across the other side of Exhibition Road. The prospect might suggest imperial nonsense and ‘pomp and circumstance’, a slightly ridiculous inheritance from the nineteenth century when the Sun never set on the British Empire. But South Kensington has become transformed by time and usage into something that is more than just the ‘BM’ and the ‘V& A’, a monument to a Britain that no longer exists. The collections are there to inform and inspire the whole world, and not just a small corner of it. I am not much of a post-colonialist, and I don’t necessarily admire the principles on which the collections were made. But I do understand the primacy of collections as a record of the world, both human and natural. There is more to collections than the golden rule about never throwing things away. There is inherent value in having people who ‘know their stuff’. The apparently esoteric can suddenly illuminate unsuspected areas of knowledge. Those who have devoted their lives to collections – obdurate people, odd people, admirable people – actually make a museum what it is and should be. Previous Previous post: Richard Fortey: Dry Storeroom No. 1 – Reading progress update: 67%.